Note: This map is not compatible with StreetPilot® devices. 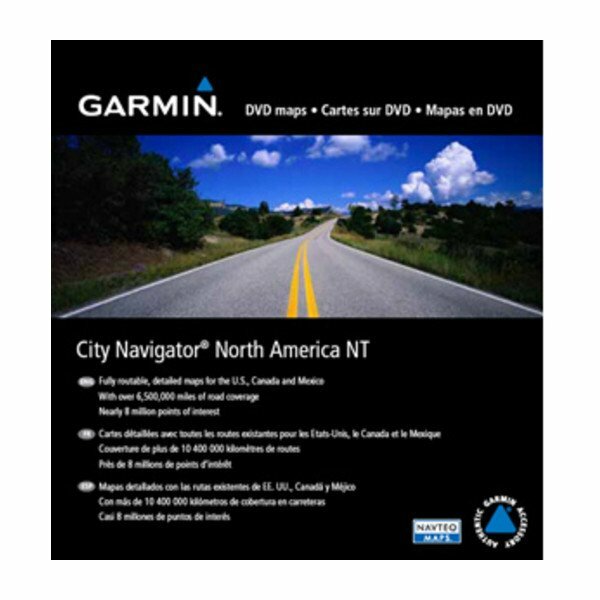 Displays millions of points of interest and road coverage for US, Canada and Mexico, City Navigator North America NT gives you everything you need to travel North America. 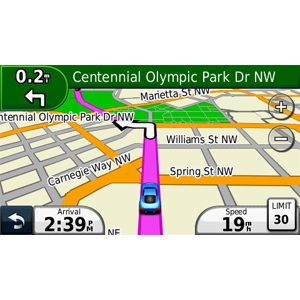 Powered by NAVTEQ, a world leader in premium-quality digital map data, City Navigator brings you the most detailed street maps available so you can navigate with exact, turn-by-turn directions to any address or intersection. 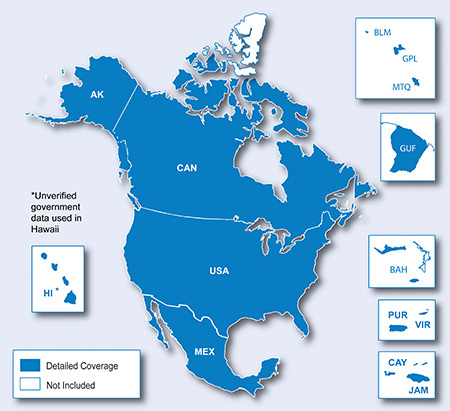 In addition to US, Canada and Mexico, City Navigator North America NT also includes coverage of Puerto Rico, US Virgin Islands, Cayman Islands, The Bahamas, French Guiana, Guadeloupe, Martinique, Saint Barthélemy and Jamaica. Available as a download or on microSD™/SD™ card*. Which format is best for me? *Recycled microSD cards may be used to programme map data. 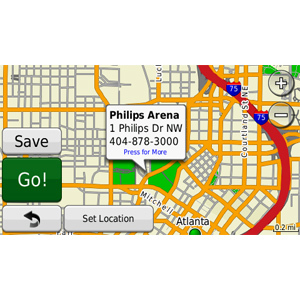 Click the Compatible Devices tab to see whether this map is compatible with your device. Note: This is not a map update. If you need to update your preloaded map, check out our map update options. 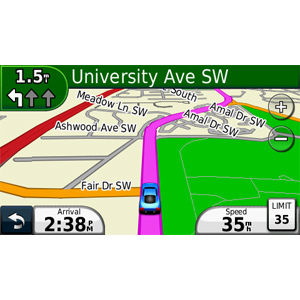 Please be advised these full-version maps DO NOT contain premium content such as Lane Assist and Junction View. 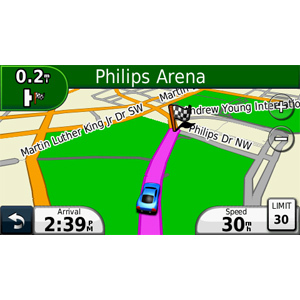 These features are only available on the preloaded mapping within your device or through a specific update for the mapping region of your device. The file size of this download and space required on device or microSD™/SD™ card is 2.5 GB. If this download does not fit on your device, data may be saved on a microSD/SD card (Recycled microSD cards may be used to program map data). Includes coverage of the U.S., Canada and Mexico, including Puerto Rico, U.S. Virgin Islands, Cayman Islands and The Bahamas. Also contains new additional coverage of French Guiana, Guadeloupe, Martinique and Saint Barthélemy. Provides over 10 million points of interest, including hotels, restaurants, parking, entertainment, fuel and shopping. Includes highways, interstates, and business and residential roads in metropolitan and rural areas. Includes turn restrictions, roundabout guidance, speed categories. Includes postal code support for Canada. Contains traffic data for compatible devices with traffic receivers. Speaks street names (example: “Turn right on Main Street.”).